The Los Angeles Rams will be traveling to Soldier Field on Sunday night to take on the Chicago Bears. 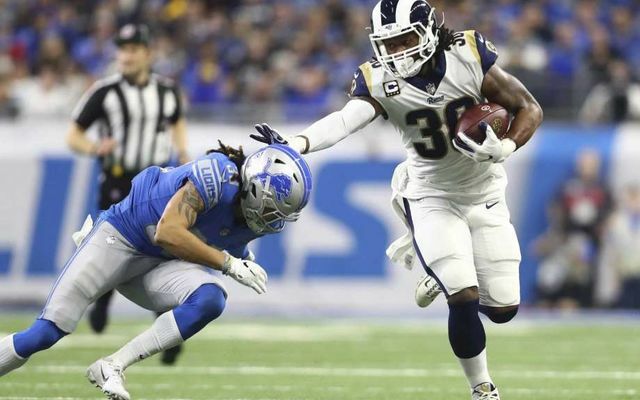 The Rams come into this one with the best record in the NFL at 11-2, and are fresh off a win against the Detroit Lions where they clinched the NFC West. The Bears are coming off a close loss to the New York Giants, but still lead the NFC North by 1.5 games with an 8-4 record. The Rams are favored -3 over the Bears, despite being on the road this week. The Rams hold a 5-1 road record this season, with their one loss coming to the Saints in Week 9. The Bears are 5-1 at home this season and you’ve always got to monitor the weather when playing at Soldier Field in December. The Bears hope to get Mitch Trubisky this week after starting backup Chase Daniel the past two weeks. In last week’s game against the Giants, Daniel threw a pick-six on the first drive of the game putting the Bears down 7-0 right out the gate. The Bears ended up forcing OT but ended up losing, while Daniel finished with 285 passing yards and a 1:2 TD to INT ratio. 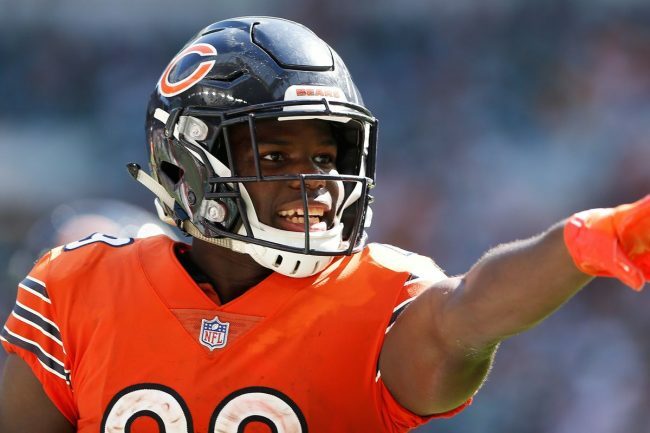 The Rams will have to put their focus on Tarik Cohen, who shredded the Giants last week for 12 catches and 156 yards. Cohen also threw for a touchdown as time expired to send the game into OT. The reports on Trubisky according to head coach Matt Nagy are looking promising. Nagy said he “feels strong” that Trubisky will suit up this week, “but I’ve got to see more,” Nagy added. We’d be surprised if Trubisky wasn’t out there Sunday night, as Chase Daniel was bad for most of Week 13’s loss to the Giants. 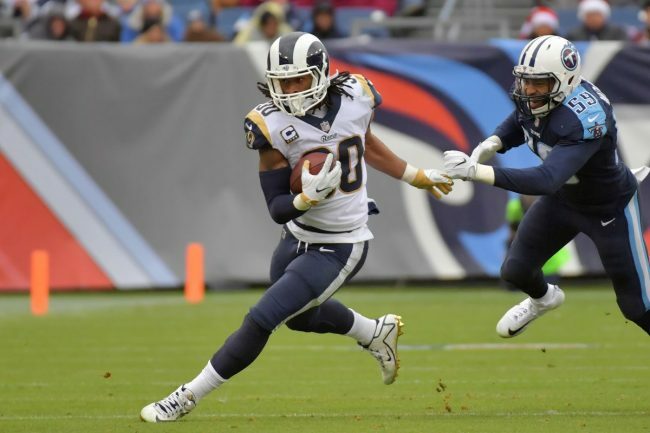 Last week was just another good week’s work for Todd Gurley, as he continues to prove himself as the best RB in the league. Gurley finished with 23 carries for 132 yards and 2 TD’s, pushing his season total up to 19 total TD’s. Gurley leads the league in both rushing yards and touchdowns, while DL Aaron Donald continues to lead the league in sacks with 16.5. Despite Kyle Long being placed on the IR, the Bears offensive line has held steady ranking 11thbest in the league for sacks allowed (2.3). The Bears can put some pressure on the quarterback as well between Akiem Hicks and Khalil Mack. This will be an intriguing matchup for both the Bears, who allow the 2ndfewest rushing yards per game (85.8), and Todd Gurley who averages the most rushing yards per game (97.9). The Rams lost backup RB Malcolm Brown for the season due to a broken collarbone. Coach Sean McVay called the injury “huge,” but it is only going to come into play if Todd Gurley gets hurt. Some combination of Justin Davis and John Kelly will back up Gurley for the season’s final four games. We’re taking the Bears at home this weekend 30-21.